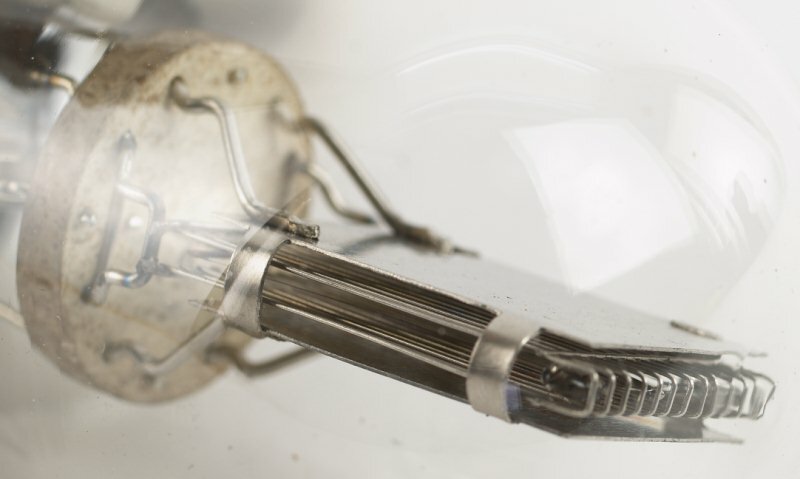 The filament, grid, and plate structures of this tube are the subject of Charles Vincent Litton's first US patent, #1,872,991. It is the same Charles Litton (1904–1972) who went on to found Litton Industries and made his mark in the manufacture of microwave tubes and glass lathes. These tubes were made between 1928 and 1930, and were an attempt to make a UX201A of ruggedized construction. The base of this tube is a standard black bakelite base, wrapped brown in paper tape.